We enjoyed a glimpse of spring this weekend with sunny 70s both Friday and Saturday. I know it won’t last long, but I’m grateful winter will soon come to a close. It’s hard to believe the accident was six weeks ago today. I am now walking well without a cane – although endurance is lacking. I used to walk three miles every morning with no difficulty; now walking around the block can tire me out. Oh well… baby steps to recovery, right? I am also sling-less, now focusing on range of motion exercises. I can easily become discouraged when I realize how far I have to go … but I stop myself and instead focus on how far I’ve come. I can drive now – shower myself – and style my hair (somewhat). Again, baby steps. I’m now dealing with a bout of laryngitis (I have no idea where I picked that up) … but I don’t hear my husband complaining. Silence is golden, as they say. True to my New Year’s promise, I am reading some fiction every day. For the last couple of weeks I have focused on Middle Grade books with a homeschool protagonist. This is to help me revise my main character to suit my target audience. I’m discovering, however, that there are few books in this category that I would consider exceptional; most are mediocre at best. Perhaps some day I will find make the time to write brief reviews, but in the meantime I will just list them here. If you are interested in reading more books in this category, I urge you to visit Teach Beside Me‘s comprehensive list. Wright on Time: Arizona by Lisa Cottrell-Bently. I love the premise of the book. An un-schooled family take a year to travel around in their RV visiting each of the fifty states. Unfortunately, this first book did not really deliver on the potential. I found the characters are odd (not relatable) and the scope of the adventure limited to one small corner of the state. The Mystery at the Eiffel Tower by Carole Marsh. This is part of her Around the World in 80 mysteries series. Again, I love the premise, even though it is based on the author’s own life. Grandparents take their two grandchildren to various places around the world while grandma conducts research for her next book. The young children (ages 7 and 10) meet up with their pen pals and are allowed to explore the city on their own. I did enjoy the tour of the city and the iconic landmarks; I was not at all a fan of the contrived mystery where the children are considered heroes in apprehending a art thief. The Mystery in New York City by Carole Marsh. This is part of another series – Real Kids, Real Places. Same characters, same plot structure, but these books take place in America. Again, I feel the premise has such promise, but the formula is too contrived for my taste. Homeschool on a Battlefield by Jennifer Lynn. This book was self-published in 2011 with the promise of another book in the series. I liked this one. Again, it is based on her own family so the main characters are a mom and her four children who take a field trip to the Shiloh National Battlefield before they head to Nashville. I enjoyed the mom’s ability to make every moment teachable – and there was enough conflict and suspense to keep me intrigued. The children are perhaps a bit too compliant and agreeable, but the theme was evident without being preachy. The People in Pineapple Place by Anne Lindberg. This was first published in 1982, so it is a bit dated. Anne Lindberg is a such a gifted writer, however, that I still found the book enjoyable. A young boy just moved to Washington, D.C., from Vermont after his parents’ divorce. He is lonely, frustrated, and in need of companionship. He happens upon Pineapple Place – a hidden street in the middle of Georgetown inhabited by six families that only he can see. They embark on several adventures around town that keep the reader interested. The element of time-slipping added another layer of enjoyment. 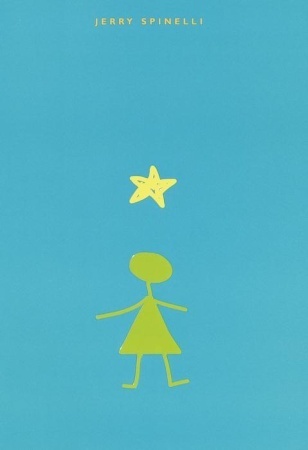 Stargirl by Jerry Spinelli. First let me say… I am a Jerry Spinelli fan. I used to teach Maniac Magee and never tired of the story nor the theme. This one took me a bit longer to accept. Stargirl (Susan), homeschooled her entire life, attends public school for the first time as a sophomore in high school. As you might expect, she is an outsider who doesn’t fit in. BUT… she doesn’t care that she doesn’t fit in. In fact, she doesn’t even notice it. She continues to remain true to herself despite what others think. At first I was put off by her eccentricities, but in the end, I loved her… respected her… and realized I could learn a lot about self-acceptance from this fictional character. As I indicated above… I am in the midst of major revisions. I won’t go into all the problems of my first draft, but suffice it to say… there was little character development, little conflict, and an unclear target audience. Not a good formula for an engaging novel. So my first step is to develop my protagonist. Who is she? What does she want out of life? What lie is she telling herself that prevents her from achieving her goals? For many writers, this is the “fun” part. They can imagine and create anyone they desire. For me, this is torture. My right-brain is as atrophied as my left arm… and it needs lots of gentle therapy to reactivate. So, the analytical side of my brain is learning to assist in the process. By using two popular Personality Assessment Tools – the Enneagram and Myers Briggs – I am discovering my characters on a more intimate level. And I have had a lot of FUN in the process. 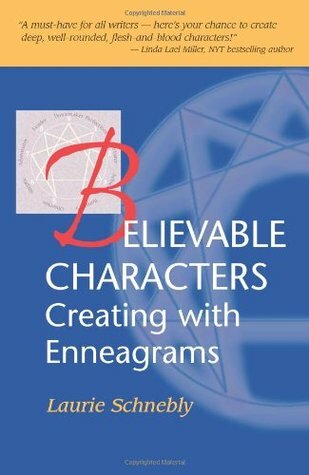 While there are a number of online sites that helped with my Myers Briggs research, I found two phenomenal resources for the Enneagram analysis of fictional characters: Laurie Schnebly’s book and Catherine Ensley’s website. Using this information is making my character more concrete – more real to me. For example, I know Phoebe Cox is a twelve-year old girl who would rather experience life than read about it. She is outgoing and personable. She can be a bit of a chatterbox, but means well. She loves adventure, but doesn’t always follow through. Attention to detail is not one of her strong suits. To put in Personality terms, Phoebe is a 7 on the Enneagram circle (the Adventurer) and an ENFP on the Myers Briggs assessment. I see her as a cross between Ferris Bueller and Dory. I’ve done the same for the other two major characters in the book (perhaps I will share another time) and already see some potential for conflict based on the different personalities. It’s taking a bit of time to return to the blogging routine. I did re-establish the Journaling series two weeks ago, this time focusing on Spiritual Journaling. I hope to return to French Friday this week, but in the meantime I have decided to take the plunge and participate in the Blogging from A to Z Challenge (gulp!) This means that for each day in April (except for Sundays) I will write a different post (coordinating with the letter of the day) on a particular topic. My focus for 2016 will be Paris A to Z.
I have created a list of preliminary topics for each letter of the alphabet. I have reviewed my Paris photos. I have even participated in a Twitter Chat (#azchat). Now all I have to do is start writing the posts so I can spend April visiting some of the other 800+ participating blogs. Are any of you planning to participate in this event? If so, I’d love to follow you! Yay for baby steps! That's a terrific amount of progress. I enjoy giving characters personality assessments. I do better with Meyers Briggs (the book Please Understand Me by Keirsey and Bates was very helpful), but it may be familiarity. The Enneagram didn't work as well for me personally and so I have a hard time working with it for characters. Looking forward to your Paris A to Z — that should be fun! I will definitely check out the book, Please Understand Me – thank you for the suggestion! Great news that you are walking without the cane! Yes, baby steps! Thanks for sharing Blogging from A – Z challenge! I hadn't heard of it and look forward to reading your posts! Happy you are making progress. I adore Stargirl. One of my favorite fictional characters! I'm glad to see you're getting around better! Somehow I missed hearing about your accident. Glad you are on the mend. I love STARGIRL. I listened to the audiobook read by John Ritter. What a tremendous experience. The People in Pineapple Place sounds like a fun read.